This 16.75 (56ft) cruiser by Bavaria is an ideal choice for your next sailing holiday in Pula. 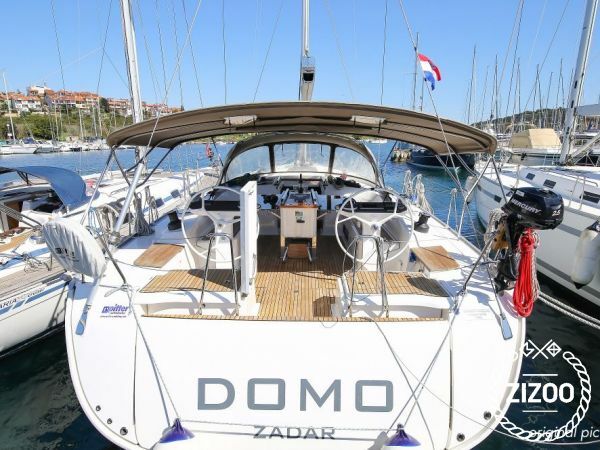 Accommodating up to 14 guests, this charter yacht offers plenty of space for you larger parties. Enjoy fun sailing and easy cruising aboard the Bavaria 56. The interior layout was well-thought out, giving you and your crew much space for entertaining and sleeping. Bavaria has also included some elegant interior features which give this yacht a touch of class and elegant style. From your charter in Pula, you can set off on a journey in the Croatian region of Istria. Famed for its beautiful beaches, charming island towns and a wealth of historic sites, Istria is the perfect location for a boat trip in Croatia. Check out our sailing itineraries in Croatia for more inspiration. The boat was comfortable and our skipper took good care of us! We had a great time both on deck and dining in the galley.